My love for mysteries began when I discovered The Five Find-Outers by Enid Blyton. Unlike most of my friends, I preferred The Five Find-Outers to The Famous Five or The Secret Seven. As I grew older, I started reading Nancy Drew, The Hardy Boys and The Three Investigators, often imagining myself as one of the detectives going on these adventures and solving mysteries. Later, I graduated to Agatha Christie and Arthur Conan Doyle, having read their books multiple times. Erle Stanley Gardner remains a favourite and I must have read all his books at least 4-5 times each. However, as much I may love mysteries and pitting myself against the author, a lot of crime fiction can be bloody and gory. It does deals with dark subjects and requires you to dive into the murky depths of human depravity and evil. I enjoyed flirting with this darkness when I was younger but as I grow older, more cynical and more jaded, I find myself gravitating towards lighter reads especially when it comes to mysteries. This is where cozy mysteries come in. They are the perfect balance of mystery without the gore and dark motives. Sprinkle in some humour, a sense of community, a touch of romance, a beautiful setting and you’ve got all the hallmarks of a book which will not only tease your grey cells but also make you feel good inside. Typically, cozy mysteries involve women in the age group of 25-40 who are forced to start over. This could be due to heartbreak, bankruptcy or a new discovery, such as, suddenly finding out that she is a witch or finding their long-lost family. 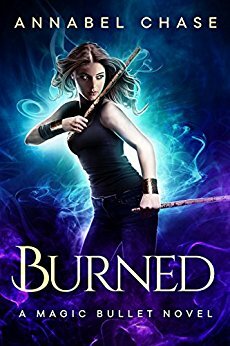 For example, in Annabel Chase’s Magic Bullet series, Alyse, a djinn is forced to go back to her hometown after she wakes up wearing copper handcuffs which have cut her off from her powers. As she reconnects with old friends, she finds herself embroiled in multiple mysteries, making new allies and even allowing herself to fall in love. We find ourselves rooting for her especially as we see her fighting the darkness within to become a better person. Many cozy mysteries are set in intimate settings. Be it a quaint village in England, or a small town in southern America, or a completely fictional island, the setting itself is an important part of the feel of the novel. These are places with small populations where everyone knows everyone’s business and, at the same time, they also look out for each other. Mom-and-pop stores thrive here and chain restaurants and coffee shops are not welcome. The police force is small and not used to solving crimes like murders. However, the protagonist typically knows at least one person inside the police force. It could be a family member, a close friend or even a potential love interest. Through this ‘inside (wo)man’, our protagonist gets access to confidential information despite resistance from other cops who believe she should not be meddling with police business. This insider information is usually critical to setting her on the right path. In H.Y. Hanna’s Oxford Tearoom Mysteries, Gemma quits her fancy job in Sydney to return home to Oxford to follow her dream of opening a traditional English tearoom serving scones with jam and clotted cream. Soon after her return, she finds herself the prime suspect in the murder of the woman who sat next to her on the flight home. Set in picturesque Oxford and a Cotswold village, Hanna uses these places brilliantly, bringing them alive for us. As for Gemma, not only does she keep stumbling onto corpses and into mysteries, she also has to deal with the return of her ex-boyfriend, CID Devlin; her mother’s attempts at matchmaking; her new business; and the antics of four old ladies who fancy themselves to be detectives. A favourite series of mine is the Angela Marchmont Mysteries by Clara Benson. Set in the 1920s, Benson’s leading lady is an enigmatic divorcee recently returned to England after years spent in America. 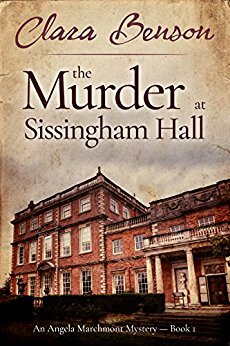 As she is invited as a guest to various country houses around England, she becomes a reluctant detective forced to solve the murders which beset these house parties. 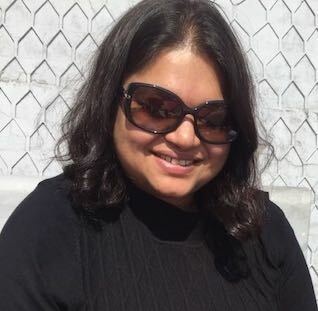 She is assisted by Freddy Pilkington-Soames, an insouciant young man moonlighting as a reporter, and providing much comic relief through typical British humour. Many cozy mysteries also have supernatural elements- the lead characters could be a set of witches along with other ‘imaginary’ creatures like vampires and werewolves. Sometimes these books involve a whole cast of supernatural characters like trolls, gnomes, fairies, and elves. Even minotaurs, gryphons, angels and unicorns may make an appearance. 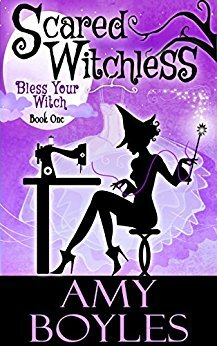 Amy Boyles’ Bless Your Witch series features Dylan Apel who has suddenly discovered she is a witch and must now learn how to use her powers without alerting humans. Throw in two sassy sisters, two even more enigmatic grandmothers and one mysterious man who is following her around, and it seems as if her life couldn’t get more complicated until her best client is killed in her boutique. With ten books out, this series continues to get more complex with an expanding universe which is rather delightful. Cozy mysteries are my guilty pleasure. As a self-professed literary snob, I am aware that these books don’t check all the boxes for literary or high-brow fiction. However, what they do very successfully is provide me with an enjoyable reading experience which satisfies my penchant for mysteries. At the same time, they are light and quick reads- I can finish off one in about two hours, usually in one sitting. They also work as a great palate cleanser especially when I am reading complex books. 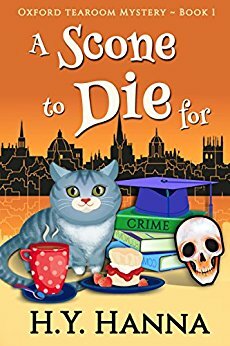 Cozy mysteries are definitely worth a shot but be careful as there are tonnes of bad books out there. Be prepared for some trial and error as you discover what you enjoy reading. I highly recommend signing up for Kindle Unlimited as most of the books I enjoy are available as part of that subscription. Have you read any cozy mysteries? Did you enjoy them? Do you have any recommendations? Share with us in the comments below.